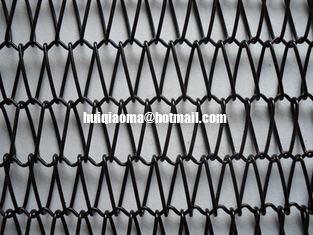 Round wire Spiral Woven Architecture Wire Mesh, also called metal spiral wire belts, is made of high quality of stainless steel wire and rod. It not only can used as a conveyor belts but also can be used as a decorative materials in industrial buildings. Spiral wire with cambered bent, bright metal color shows another sense. 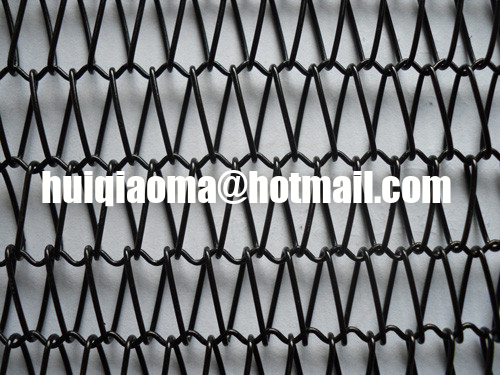 This kind of mesh is more and more used as curtain walls, ceilings,isolation wall, curtain screens and so on.